Well, I have. I’d lived in the UK for quite a while to remember this interesting store, where I could have bought whatever CD and DVD collection I wanted (I did not have any amazon accounts at that time). It was a bit noisy, a bit messy, but all in all, it worked out for me and I visited it pretty often. But now.. I will not anymore. HMV is closed and this is not a surprise for me. They started closing the stores long time ago and it was all predictable, because they were getting old-fashioned. No good was coming out of their strategy, which was “we re not selling music online, we are still the offline store where you come and buy CDs”. Well, it seems no one needed the vintage store with CDs and DVDs anymore. 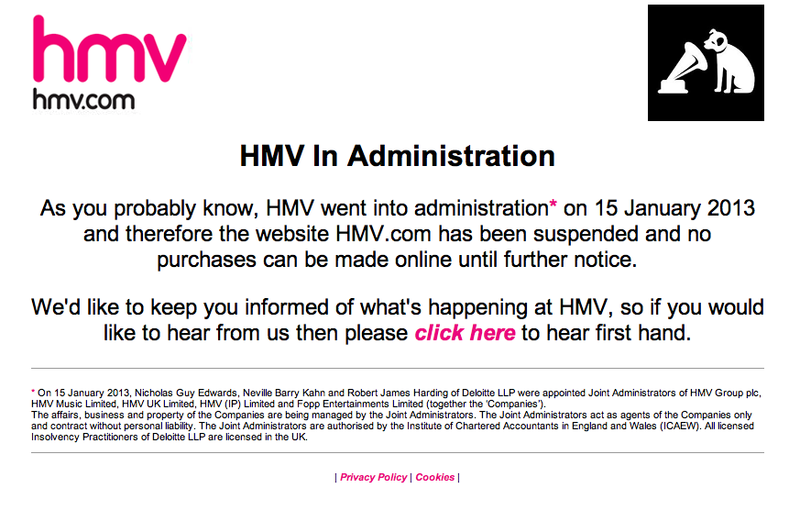 The industry’s habits and changes were calling HMV to change and apply a new Digital Strategy. Unfortunately, they have decided to stay away from it and now they have to stay away from the industry. It is highly unlikely that the company will be able to survive without adopting its strategy to the current market nowadays. I mean, what were they thinking? It is not up to the company, which strategy is to choose anymore. It is the consumer who picks it and the company must adopt the consumer’s wishes, ideas, wants, needs and dreams into a strategy that will make it stay on the market and feed those customers with the products and services they desire. If a company does not get it- it will be gone. And HMV is not the only one that is going through this. Barnes&Noble is next on the line. As well as Best Buy. They are not “feeling it”. If you disagree or have other predictions- feel free to open a discussion below this post. I am sure we will find some other aspirants to this position.